I can see the celebration now. No more bumps, bruises or poked out eyes due to poorly designed doors. All those kids and midgets, cheering with delight. Woohoo!! jeepers!! who has door handles like that?? 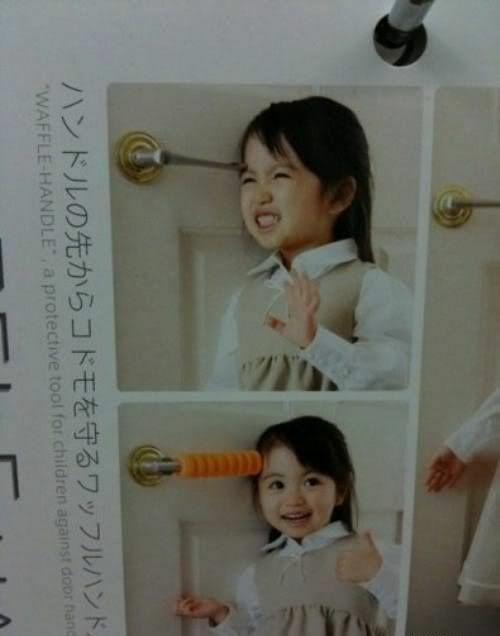 The Japanese by the look of things, good idea though, whoever invented these will no doubt make a fortune.